Fellow Centurian Hardy Wallace wore his OFFICIAL WINE CENTURY CLUB TASTEVIN in an video interview for a cushy marketing position at Murphy Goode Winery. He got the job over 1,700 other applicants! CONGRATULATIONS, HARDY! He’s obviously a talented and funny guy, but we like to think that the talismanic properties of the tastevin propelled him to victory! Remember, it can work the other way: member Randy Boyles lost his OFFICIAL TASTEVIN last May. Ten minutes later, he caught gingivitis from a chewable toothbrush purchased from a vending machine at Detroit Metro Airport.1 Don’t let this happen to you. 1This is a dramatization based on a true story. The names and facts have been changed to protect the innocent. In case you don’t get Grapegrower & Winemaker Magazine, or are too busy to read it, please find attached the latest article on Alternative varieties. I hope you enjoy it, and with a bit of luck I might see some of you in Mildura on the 10th of November. How ironic. One of the most exclusive clubs in the world, and a true wine snob could never hope to join. I am sipping a half-full glass of spritzy ‘vinho’ from the Vinho Verde region of Portugal on this unnaturally brisk Tuesday evening. May the millionaires with cellars full of 100 point wines gnash their teeth; it is this bottle’s humble $4.75 price tag that gained me entrance into a different ‘100’ club – the Wine Century Club. 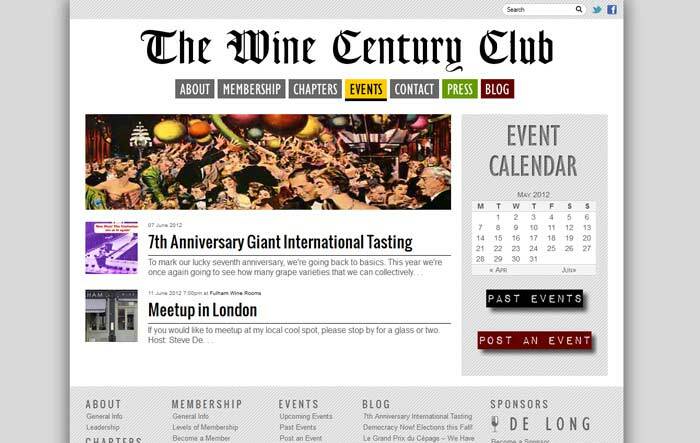 Exclusive, like many things in New York City, the Manhattan-based Wine Century Club has just over 250 members worldwide. According to Deborah and Steve De Long, the Wine Century club, founded in 2005, is “for adventurous wine drinkers everywhere.” Adventurous, indeed. To gain membership, wine drinkers must have tasted wines with a sum total of at least 100 different grape varieties. The Arinto, Azal Branco and Louriera grapes in my wine glass tonight brought my total to 101. As a wine drinker, I am very lucky to live in the Empire state. Though a wine from halfway around the globe helped me finish my trip, I would be nowhere near the 100 mark without the help of the wide variety of grapes grown in New York. From a Hudson Valley Baco Noir tasted in the cellar at Benmarl Winery to a Heron Hill late-harvest Vignoles sampled at the Finger Lakes Wine Festival, New York wines have given me a lot to savor and enjoy. Since we are all just a day trip away from both Long Island wineries and the wonderful wine shops of New York City or the Finger Lakes, Niagara and Hudson Valley wine regions, most anywhere in New York is a great place to live for wine lovers. Determined to get a good jump start on filling up the boxes in my freshly printed Wine Century Club application, this spring I traveled to New York City, rubbing elbows with urban wine lovers at a fabulous and crowded French wine tasting at the Chamber Street wine shop in Manhattan. A pour from legendary Beaujolais producer Jean Paul Brun added Gamay to my list. Later that day I stopped in Little Italy to have dinner, and a glass of the house white helped cross Grechetto off as well. The tasting bar at Vintage New York in Soho is also great place to sample New York wines; a pour of ‘Sculpture Garden’ from Long Island winery Channing Daughters introduced me to Blaufrankisch and Dornfelder. At the midpoint, with over 50 varietals comfortably under my belt, the going got a little tougher. Having only a few dozen untasted grapes to cross of my list led me to drink any wine I came across. Sure, I was feeling particularly sophisticated as John McGregor of McGregor Vineyard watched expectantly as I sampled his exotic blend of Rkatsiteli and Sereksiya Rose, but I also found myself guiltily bellying up to the bar at a local Elks lodge in working-class Cohoes, NY one night to sample Lambrusco and Riuniti from a plastic cup. By the time I got into the high 80’s, I was absolutely sure that being adventurous and willing to try something, anything, as long as it’s new, is an essential character trait in a wine lover looking to join the Wine Century Club. I will never forget the first taste of Greek Retsina wine and North Carolina Scuppernong. taught me more than just how to count grapes and swallow a bunch of exotic fermented juice. Visiting wineries across New York gave me the opportunity to ‘increase my number’ at the same time that the tasting room staff helped me improve my palate. At Pellegrini Winery on Long Island, I tasted chocolate in wine for the first time, and Finger Lakes whites helped me appreciate apricot, honeysuckle and peach aromas. Delicious! morning workshop on detecting wine faults. The quest for 100 grapes also led me to discover the amazing variety of beverages that can all still call themselves wine. I sampled Cava, which is sparkling wine from Spain, and Madeira, a Portugese fortified wine that rose to fame because it actually tasted better after oxidizing during long voyages at sea. Closer to home, fun and fruity wines from native grapes like Catawba, especially Hazlitt Vineyard’s Red Cat wine, are at home on the deck or hot tub – tasting nothing at all like a wine snob’s big tannic red. After learning about and tasting many, many wines, I have made a few new ‘friends,’ the best two being a Viognier from France and Rkatsiteli, a fruity white from Dr. Frank’s Vinifera Wine Cellars in Hammondsport. Now that I don’t have a wine-stained, dog-eared application sheet to fill out, I have found it hard to stop pulling out dusty bottles from the back shelves of the local wine shop and automatically scanning winery tasting sheets and the wine lists at ethnic restaurants in a desperate search for an untasted varietal. I think my next focus will be in the opposite direction – I’ll pick one grape, like Riesling, and follow it around the world. In a few weeks I’ll receive my certificate and proudly frame and hang it on my living room wall, but the Wine Century club is more than a piece of paper, it’s a state of mind. It’s a certain type of wine drinker that looks in her backyard and to all corners of the world to learn about her own palate and discover great wines. Wine snobs need not apply. Kathleen’s Blog is called Wine and Stories from the Vineyard. Our 2nd Local Chapter: Aiken, SC! I am happy to announce the formation of The Wrath of Grapes chapter of the Wine Century Club in Aiken, South Carolina with 10 members. They completed their journey mostly as a group (3 more are still working on it). Listed in the front from left to right are: Marianne Scogin, Greg Teese, Caroline Teese, Jeff Brault and Fatina Ann Washburn Clark. Those in the back from left to right are: John Scogin, Mark Clark, Steven Delgenio, Ernest Hammond and Bruce McMurray. Marianne Scogin is the Chapter President. Congratulations to all the Chapter Members!